I will eventually have more varied content here, I promise! At the moment, though, I am still neck deep in asylum records and I am always fascinated by the things they list as being the cause of a patient’s mental health problems. This batch is from Ararat Asylum in the 1890s. The full list of causes can be found under the cut. Following on from my post about the causes of lunacy given in the 1880s at Yarra Bend, here is a collection of causes from the 1890s. The full list is under the cut. 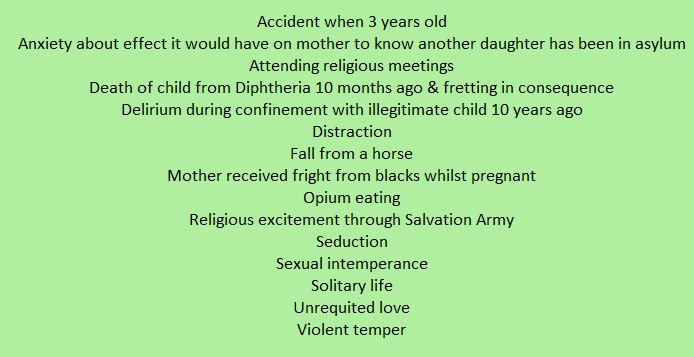 Patient case notes for Victorian lunatic asylums generally contain an initial summary of information about the patient. 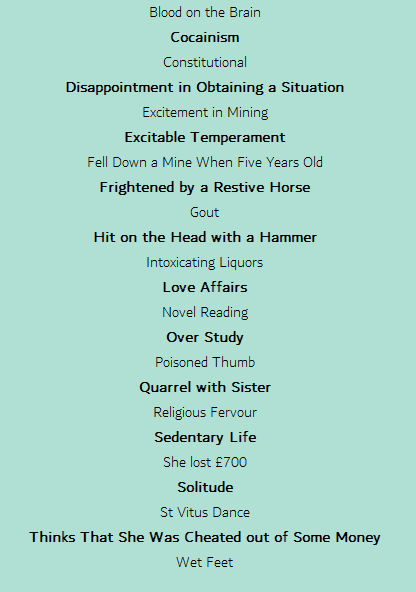 In many, a ‘supposed cause’ is listed, some of which seem quite peculiar by modern psychiatric standards. 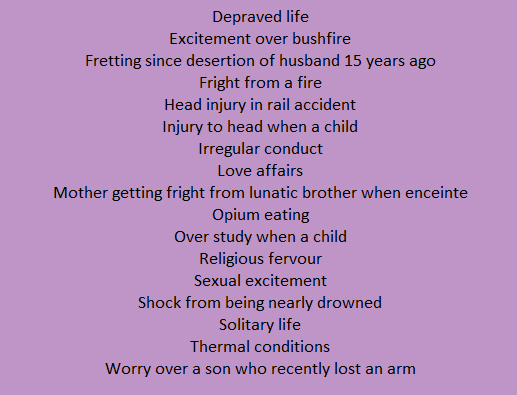 The following are all causes to which a patient’s mental illness was attributed at the Melbourne asylum Yarra Bend during the 1880s. The rest of the causes can be found under the cut.